The lead prosecutor in the case is Paul Greenwood, deputy district attorney and the head of the Elder Abuse Prosecution Unit of the San Diego District Attorney’s Office. If convicted on all counts, Patterson faces a possible sentence of 10+ years in state prison. Greenwood said that the residential burglary charges allege that TOP GDS* TECHNICIAN CHARGED WITH MULTIPLE FELONIES CHARGES PERTAIN TO OVERCHARGING SENIOR CITIZENS FOR GARAGE DOOR REPAIRS Patterson “entered a residence with the intent to steal.” At the March 6 hearing, nine of Patterson’s customers testified, along with three other San Diego-area door dealers who had inspected Patterson’s invoices and work. Eight of the nine testifying customers were senior citizens. In our fall 2015 cover story, one of Patterson’s invoices was published (below). This invoice was given to a 90-year-old woman in San Diego, charging her $2,126.80 for parts and $2,059.89 for labor on a three-hour service call. After a few other charges and discounts, the total was $4,274. For that price, the customer received only a hardware overhaul on one door, a new opener, and the normal related service. Many dealers might charge $750 or less for the same service. Other charges included $29.99 for “Removal and Disposal of Materials,” another $25.00 for “Garage Opener Haul Off,” and $99.95 for “Recycling, Disposal, and Fuel.” Yet, she received $198.81 in “discounts.” As reported in our fall 2015 article, Patterson would have been praised and even rewarded for such an invoice. According to a former GDS employee, Patterson made more than $300,000 for himself in 2015 and was rewarded with a trip to the GDS Christmas party at the company’s Dallas headquarters. Several internal GDS records praise Patterson as a “top gun” for high invoices. The service for this one invoice was provided on June 2, 2015, under GDS’s California contractor license (#927739). At that time, that license was under suspension. The Contractors State License Board (CSLB) reported that GDS was not allowed to perform any work while under suspension. Yet there is evidence that Patterson was active constantly throughout the suspension period. Watch out when you contract with some garage door repair companies. This is an article by a consumer in the Dallas Texas area. In the past week I had one of those experiences that we all try to avoid but sometimes wind up getting caught in. I was helping a friend get their garage door fixed and wound up getting connected with a company that five minutes of online research would have told me to avoid. 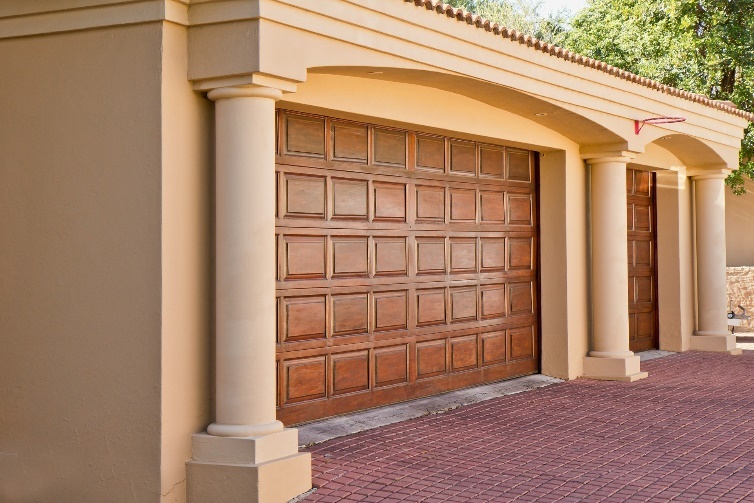 Anyone who owns a house knows that the garage door will eventually fail. A garage door only has a few components. The door itself is on a set of rollers in a track and is assisted in opening and closing by a set of torsion springs, drums, cables, and the garage door opener. In most cases if your garage door won’t open, or opens part of the way then shuts, one of the torsion springs has broken. The springs will typically last anywhere from 10,000 to 20,000 cycles. Replacing torsion springs can be done by the homeowner but it is not advisable. By the time you get the springs and the correct tools, you would have been better off paying someone to do the job. But the garage door repair industry is riddled with dishonest business operators. In my case I called the number that was on the sticker inside the garage door for “Company A.” The first warning sign I ignored was when my call to a 972 area code (Dallas area) was transferred to a national call center. It was the morning after Thanksgiving and I was wanting to schedule an appointment for later in the afternoon. I ignored another HUGE warning sign in the phone call with “Company A.” I told the operator I had a broken torsion spring on a 16’x7′ metal garage door. I asked what would be a ballpark price just to have the springs replaced. The operator said they couldn’t provide that information. For anyone reading this post, this should be the time when you politely end the phone call and call another company. 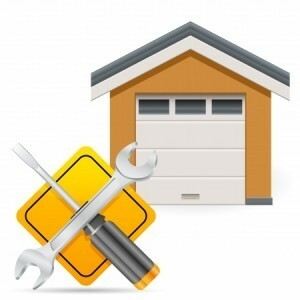 A reputable garage door repair company will provide you with a price estimate over the phone for a specific service. Earlier in the morning I had called the repair company I have used at my house, “Company B.” They were closed for the Thanksgiving holiday but the owner called me back later in the day. I informed him I had another company coming out. He spent some time asking questions and told me if they wanted more than $250 for the job they were ripping me off. I thanked him for the information and ignored my instinct to call “Company A” and cancel the scheduled service appointment. The repairman for “Company A” showed up to the house on time and was polite, although he brought his pre-teen son with him for the job. He took a look at the springs and started rattling off repair costs. Then came the warning sign which let me know it was time for this man to go. He tried to quote me prices for 90-day, 2-year, and lifetime rated springs. This is the oldest scam in the garage door repair industry and is a clear sign you are dealing with a bad business. He rattled off the costs for the repairs so quickly that I asked him to write them down for me. He went out to his truck for a bit and came back with the lowest number at $443 for installing a pair of 90-day springs. I believe the top number was $600 for the lifetime springs (more on that later). I told him I had another quote for a max cost of $250 and that I would need to pay his service fee and send him on his way. His reaction was interesting. He was taken back for a few moments by my refusal of his bid. He then wanted to inspect the rest of the garage elements since he was already there. I had no problems with this because I wanted to hear what he would say. He said that every component on the door was worn out – the drums, the cables, the rollers, and of course the springs. He then asked, in a polite manner, if I would call “Company B” and ask what it would cost to replace all these items. “Company B” humored his request and said the springs would be $239, drums were $39, rollers were $85 for a set of 10, and the cable was no charge. Their complete repair came in $100 less than his bid for just the springs. I again told the repairman from “Company A” that I would happily pay his service charge and send him on his way. The service charge was $89 but the national operator had told me there was a $40 discount because I got the number from the sticker on the door. I had to talk the repairman into giving me this discount. I ate the $50 fee because it was my mistake not my friend’s mistake. The repairman continued to make his case as we did the paperwork but to his credit he remained polite during the entire process. “Company B” came out the next day and replaced the springs for $239 as quoted. They also replaced the plastic rollers for $85 and said all other components were in good operating condition. How big is it? Measure how tall and wide it is. What is it made of? Metal, insulated metal, wood. Inspect the components. A broken torsion spring will almost always be evident. They are the two dark coils above your door. If it is broken you will see one coil is separated. Give the drums a visual inspection. There is one above each corner of your door with a cable running over it. They should have grooves. If they are smooth they will need to be replaced. Visually inspect the cables. If you see any fraying or damage they need to be replaced. Check out the rollers all along the side of your door. If they are plastic and more than five years old they should probably be replaced. The best rollers have a metal shaft and a neoprene covered roller. The roller looks a bit like an inline skate wheel. If you know your components, you can provide an accurate description of the situation. The repair company should provide a ballpark estimate based on your information. Ask for them to email you the bid so you have it in writing. If the number you call transfers you to a national call center, hang up! Only deal with local companies that are listed with the BBB. You should also verify membership and current standing with the BBB. A quick search on Google or Yelp will also tell you all you need to know about the company you have contacted. If a company offers you a lifetime spring or a lifetime warranty it is a scam. No spring will last a lifetime. When it comes to garage door torsion springs, a spring is pretty much a spring. The lifetime scam works like this. They charge you an initial price about double the price of a regular spring. What they don’t tell you is that the lifetime warranty is only on the spring. Let’s say in five years your lifetime spring breaks. You call up “Company A” and setup an appointment. The spring is free, but they will charge you an $89 service fee and a $100 installation fee. And here’s the kicker! They will only replace the broken spring. So the next month when your other lifetime torsion spring breaks (they operate in pairs) you will pay the $89 service fee and the $100 installation fee again. All in all, a $50 lesson isn’t that big of a deal. I was busy and we had company in town. If I had trusted my instinct I could have saved myself some time and money. There will be companies that install springs for less than the $239 of “Company B” but they have done several jobs for me and I have always been pleased with their work. Decades of experience make Central Utah Door Co. the best and most affordable garage door repair company in town! Not only that, we take pride in our professionalism, punctuality, quality and overall price that our testimonials boast of. We work hard to ensure your next garage door repair or new garage door installation has the finest lasting impression for years to come. For fast garage door service for commercial or residential properties, call the Orem location at 801-373-8103. It’s not just about what we do, it’s about HOW we do it! 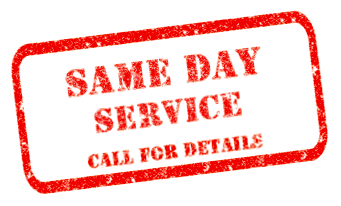 5 days a week and on an emergency basis, we are available to take your call to come out and repair your garage door. There are many reasons you would need to give Central Utah Door Co. a call. We can tune up your garage door, replace window panels, repair broken torsion springs or extension springs, repair broken cables or drums, as well as replace any brackets, rollers, struts, bearings or hinges. Is your garage door off track? Does your roll-up garage door stop before fully opening? These are common issues we can quickly solve for you. You will always get a full inspection, quote before contract, and super cheap garage door repair! Our customers are blooming with great things to say about us! Peruse our reviews HERE to see why we rate high in customer satisfaction! 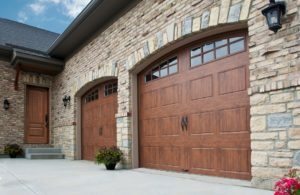 Whether you want do-it-yourself (DIY) tips on how to repair or install a garage door or hire one of our excellent servicemen, Central Utah Door Co carries quality parts for the job. We have tons of models of LiftMaster® for garage door parts as well as universal keyless entry accessories and remote controls. We also carry Raynor and Clopay® brand doors that are highest in safety, beauty and durability. We use innovate and cutting-edge software that aids in finding a new door for your home or office. You start by selecting your door size so be sure to read through the how-to article to learn how to measure for your new garage door. Then you’ll be able to upload a picture of the outside of your home where the door will be placed, choose the model and construction of the door as well as the panel and window design. 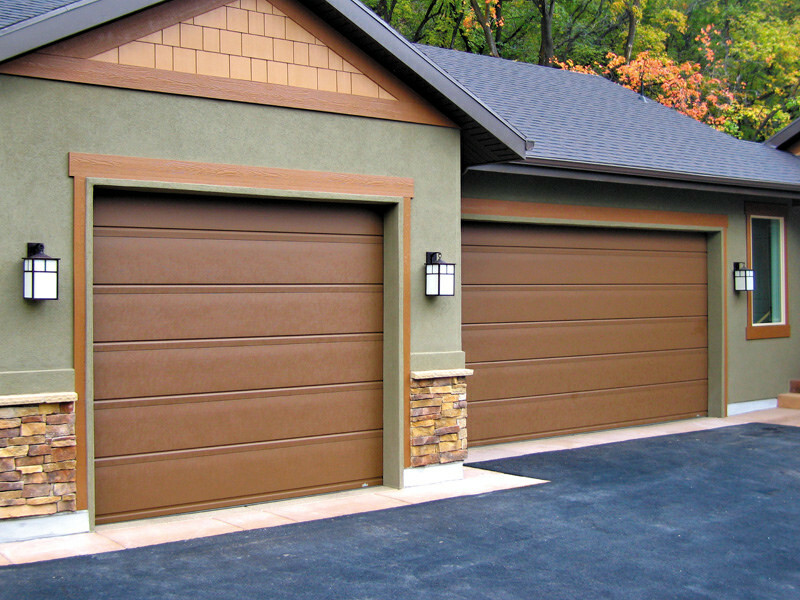 Finally, you can pick out the color and decorative hardware for your new garage door. Looking for garage door parts? Contact your local expert and the industry leader in garage door repairs, Central Utah Door. We stock locally all of the necessary parts to repair your garage door and have it operating again quickly and efficiently. 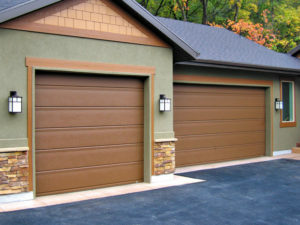 Your garage door is an important part to any home or business. It is made up an of an impressive selection of components and parts all of which have to work together effectively in order for the door to function properly as a whole and offer you the most convenience.